Now follow up lab tests have demonstrated that controlled doses of the versatile chemical compound could be even more effective in dealing with cyanobacteria commonly known as blue green algae – a major public health hazard and potentially fatal to dogs and livestock. Some of these exciting results are published today in the journal Biochemical Society Transactions along with a series of other scientific developments related to algal communities in the Broads National Park; one of the UK's most popular and environmentally important network of waterways. Dr Ben Wagstaff, one of the authors of the study from the John Innes Centre said: "We've demonstrated that the use of hydrogen peroxide is a practical, relatively easy way of managing these blooms. "Work has already started to put together protocols for the use of hydrogen peroxide to control Prymnesium and our research showed that blue green algae are even more susceptible. You can potentially use even lower doses to wipe out blue-green blooms." Steve Lane, Fisheries Technical Specialist at the Environment Agency which is helping to implement the research said: "It is really exciting how scientists, fishery managers, the angling community and partners have worked together and made such important progress to tackle Prymnesium, which is a serious threat to the multi-million-pound angling economy of the Broads. We are now working hard to make sure that we can use hydrogen peroxide to help manage future incidents, guided by the wonderful world-leading work that has taken place right here in Norwich." Dr Wagstaff says that it's not practical to treat much larger water systems in this way. But the adoption of H2O2 in smaller lakes and watercourses popular for sailing and water pursuits means they would no longer have to close for long periods when blooms occur. Fisheries also stand to gain with the team already working with one business in Suffolk to deal with an outbreak of harmful blooms. 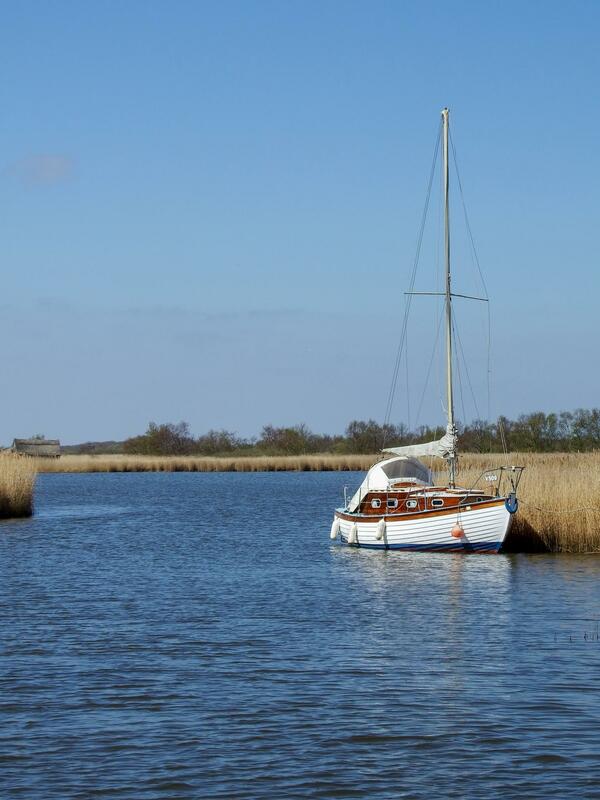 Following successful field trials at Hickling Broad, Norfolk, last summer, detailed laboratory tests have been carried out which demonstrate how the H2O2 treatment impacts the complex array of species in the water. The tests showed that within two hours blue-green algae is significantly reduced by doses of H2O2 to a greater extent even than Prymnesium and other algal organisms. The tests showed that fish and macroinvertebrates were unharmed by the treatment. Furthermore, both this study and others have shown that ecosystems in open waterways to recover within days to weeks after H2O2 is applied. Follow up trials involving the Prymnesium Stakeholders Group a multi-agency network that includes JIC/UEA researchers the Environment Agency, angling/environmental groups and the Broad Authority are looking at how best to apply H2O2 so that it can be most optimally dispersed in the water. "Five years ago, staff at Whitlingham Broad here in Norwich approached us about blue green algae and we couldn't help. Now it may be possible. "People have used hydrogen peroxide before. But it's use is not widespread. It just needs to be adopted and used in line with protocols so that more and more people realize how quick, cheap and effective it is." Using advances in DNA sequencing to monitor composition and abundance of algal blooms and the virus which infects Prymnesium algae causing it to spill fish-killing toxins into the water. Studying the chemistry of toxins produced by Prynmesium to aid early warning detection and possible use as an organic compound. Investigations into a lytic virus discovered on Hickling Broad which infects Prymnesium causing it to spill its toxic cell material into the water. This work is addressing fundamental questions about the effect of viral infection on toxin production and release in microalgae. In another exciting development, researchers from the UEA have identified and isolated the strain of Prymnesium algae that is specific to the Broads system. With the results of fundamental research likely to be several years away, there is a current need for practical solutions to mitigate a growing rise in harmful algal blooms caused by rising temperatures and eutrophication, the report in Biochemical SocietyTransactions states. Blue-green algae is the name given to cyanobacteria – a group of bacteria. When the algae blooms, a blue green scum often appears on the edges of lakes, and ponds. It produces harmful toxins which impair liver function – often fatally – in dogs. In humans, cyanobacteria can cause a range of symptoms including skin rashes, fever and headaches, muscle pain and breathing impairment. Prymnesium parvum – the golden algae is of concern to anglers and aquaculture industry because it produces the toxin Prymnesin. It is not harmful to humans or cattle, but can turn waters deadly for fish in a matter of hours. Hydrogen Peroxide (H2O2) – Best known as a hair bleaching agent (using strong concentrations), hydrogen peroxide has a range of uses depending on the dosage. It can be used as an antiseptic mouthwash, and laundry whitener. ?It is already used by the Environmental Agency to aerate water when oxygen levels dip – another reason why its use in tackling blooms is more cost effective than commercial algaecides. After use, it breaks down harmlessly into water and oxygen so offers strong environmental benefits compared with some commercial algaecides. To achieve these goals we establish pioneering long-term research objectives in plant and microbial science, with a focus on genetics. These objectives include promoting the translation of research through partnerships to develop improved crops and to make new products from microbes and plants for human health and other applications. We also create new approaches, technologies and resources that enable research advances and help industry to make new products. The knowledge, resources and trained researchers we generate help global societies address important challenges including providing sufficient and affordable food, making new products for human health and industrial applications, and developing sustainable bio-based manufacturing. The John Innes Centre is the winner of the BBSRC's 2013 – 2016 Excellence with Impact award.